Development doesn’t stop just ’cause the site’s down. Got a few pictures for you. 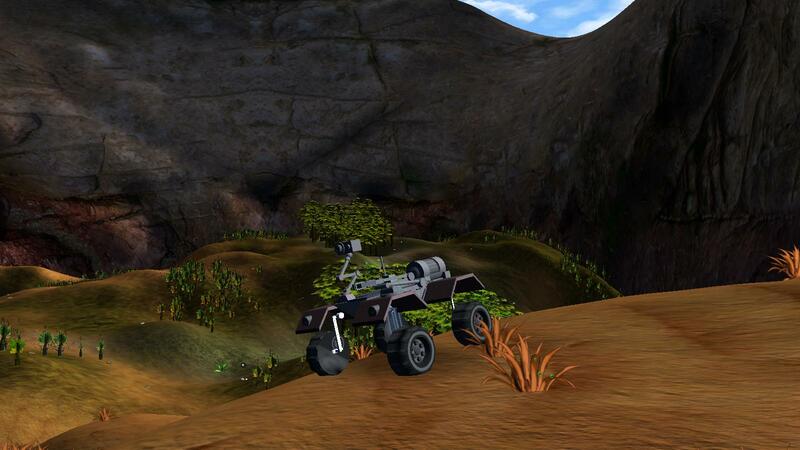 Rovers on an “Oasis” map. You can see the desert dunes in the distance. We currently have 5 different types of map, each with different water, height map and background settings. 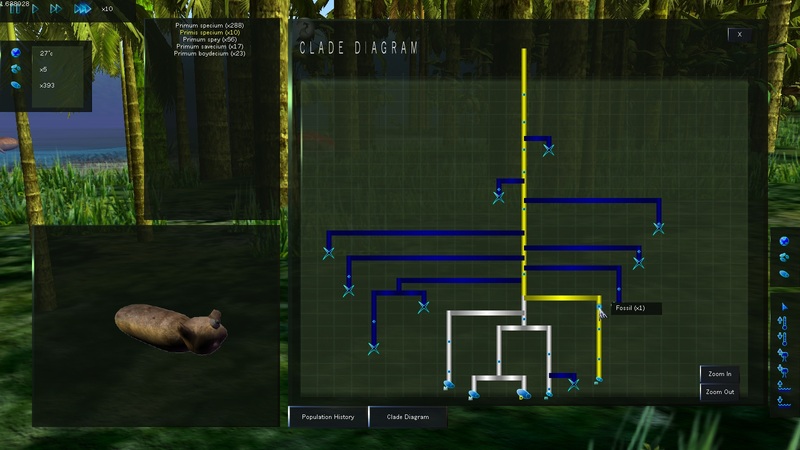 Working clade diagram, with hoverable species and fossil icons. 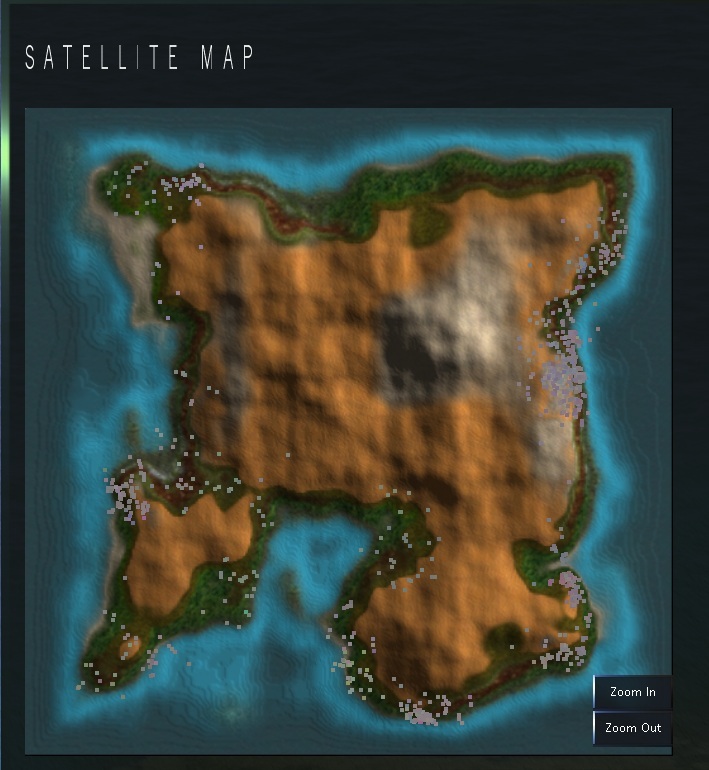 Old picture of the Sat Map. The current version also shows tree’s and corpses as green and red dots respectively. Also hoverable. 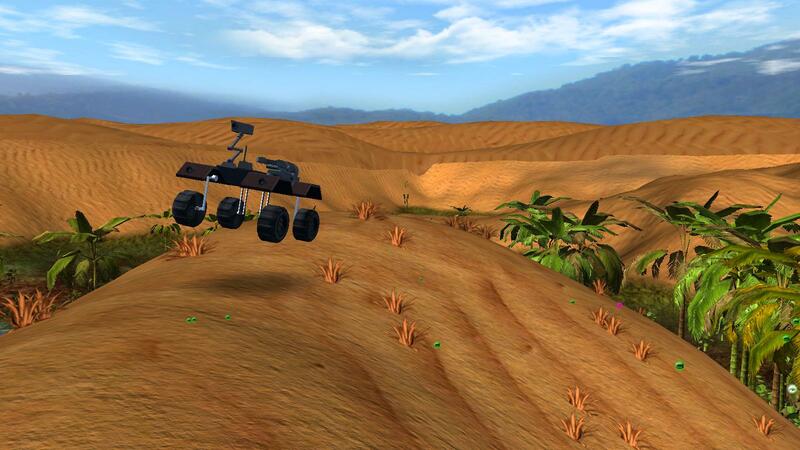 This entry was posted on May 10, 2013, 7:10 am and is filed under Game Development. You can follow any responses to this entry through RSS 2.0. You can leave a response, or trackback from your own site. This looks like a great update to help make statistical analysis and “selection pressures” (>:D) more easy. The clade diagram looks much better than the old system which showed the species and displayed the populations simultaneously. That was an original idea but it makes hard viewing. Are you also going to make the biomes less temperamental; I always get extreme temperature gradients. (snow, snow, snow, desert, lava! kind of thing). You should be able to reduce the temperature gradients by messing with the “Temperature Variation” setting on the new world screen. But yeah, I’m trying to implement more options for temperature/fertility variation for 0.6.0. Currently it just uses a very simple random static map, and fertility is influenced by water: I’d like expand on this. to bookmark it and return to learn more of your useful information.